Wallace: An African wild bush pig who was rescued as a very little pig from a backyard in South Africa. Wallace is now a much bigger pig and is returning to the wild! 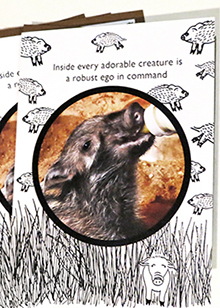 "Inside every adorable creature is a robust ego in command"